At Elite Taekwondo, you will always find a family friendly environment and a safe, clean facility for students of all ages to train in Taekwondo. We truly believe that every student can improve various aspects of their physical well being and develop character through martial arts training. With a focus on character development, we combine traditional and modern teaching techniques and principles to accommodate all ages and physical levels. Some of our adult members are parents of our younger students, teens love to blow off steam and gain a positive body image while doing so, and everyone has an absolute blast in our high energy fitness oriented classes. Beginners are welcome! Our students come from all walks of life and start at different fitness levels. We love to work with beginners and elite athletes alike. No matter what your starting abilities are, you'll get a great workout, gain lean muscle, and learn techniques to keep you and your family safe. Teens and Adults Martial Arts improve strength, agility, coordination, contribute to healthy weight maintenance, and prepare students physically and mentally for all of life's many challenges. Kids work on building positive character traits that in turn provide a foundation for their focus, listening, and self control skills. Students of all skill levels learn how to avoid sticky situations - and how to defend themselves if they need to. At Elite Taekwondo, we use Martial Arts as a tool to teach students discipline and respect for themselves, parents, friends, and others around them. You won't be judged or compared to others - all of your success comes from you doing the best that YOU can do. The uniqueness of Martial Arts is that it's an individual sport, where a student is judged solely on their own performance and not compared to others in class. To succeed in class, students must work together as a team, thus developing teamwork and social skills - but your personal effort dictates just how far YOU go in your own training. Whether you want to learn about Martial Arts, are looking for a fun way to stay active, or aspire to be a national champion, Elite Taekwondo provides the facility and resources to achieve the goals for yourself, your child, and your family. Get ready to experience the best prices, the most amazing staff, and have the most fun you've EVER had getting fit. Please read about our Head Instructor to understand the expertise behind our dynamic classes. Considered to be one of the leading experts of Martial Arts in the world, Master Lee’s accomplishments include: multiple Korean National Championships, instructing the Korean Army Special Forces, and demonstrating with the Olympic Game National Team. Currently holding a 7th degree Black Belt in Taekwondo, Master Lee has been training, researching, and teaching martial arts for over 40 years. He graduated from Chung-buk National University with a degree in physics before coming to the United States to teach taekwondo. In his quest to combine traditional and modern teaching, he published The Science of Tae Kwon Do so that his students may understand the scientific principles behind Taekwondo techniques. 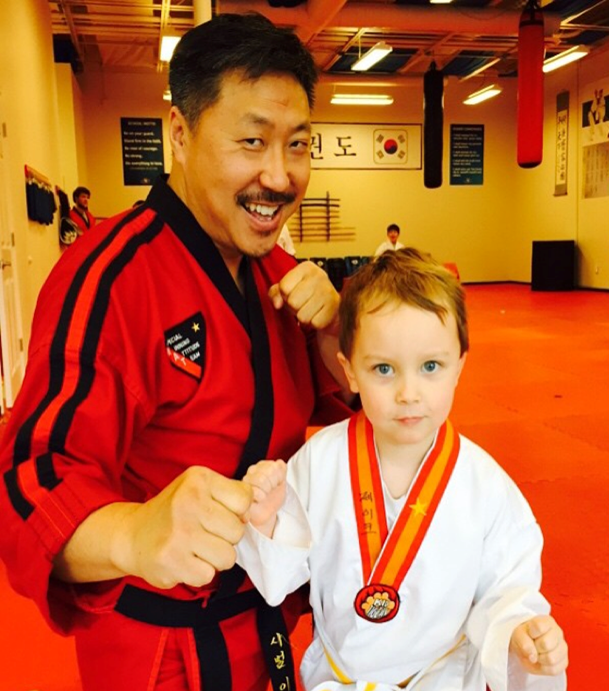 Please learn more about his experiences in My Journey of Tae Kwon Do: From Korea to America. This is not meant to be a book of science. Nor is this intended to be a Taekwondo manual. You won’t be able to learn the secrets of science or Taekwondo from this book. 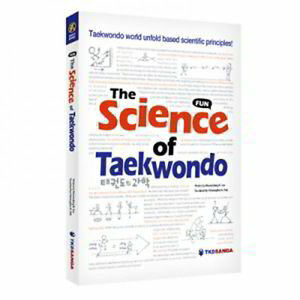 This book is about ‘Taekwondo’ and ‘science’ only to the extent that anyone who has ever practiced Taekwondo will already know. Ironically, however, this book will function as a book of science, and as a Taekwondo manual. The world of Taekwondo is based on principles of science and those who know Taekwondo will get to understand the science behind their techniques, and vice versa. Our goal is to take a closer look at Taekwondo to understand how we can use scientific principles to benefit our training. Master Lee came to the United States with a backpack, a limited English vocabulary, and unbeknownst to him- a bag full of soondae. He clearly had much learning to do, and so he spent years learning about the United States, taekwondo, and human nature from the many students and friends he met along the way. If you enjoy the stories Master Lee shares in class, then you will appreciate this collection of anecdotes about a South Korean martial artist navigating American society - brilliant triumphs and humbling mistakes included. He hopes that you will enjoy his stories. 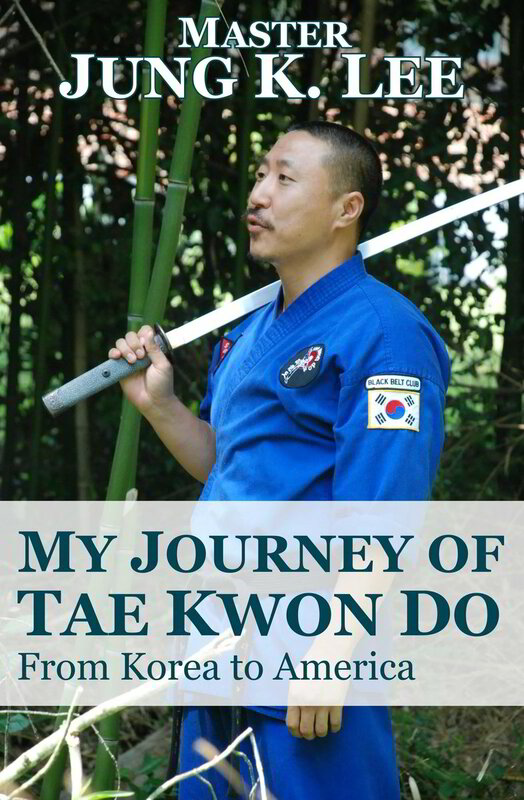 My Journey of Taekwondo: From Korea to America is available on Amazon (https://amzn.to/2PbIEPU). Master Lee is an excellent teacher and runs a solid martial arts program. Our child has shown dramatic improvement in her concentration and organizational skills, all while having fun and exercising her body and mind. We are very happy with the program and highly recommend it to everyone. YOUR MARTIAL ARTS GOALS ARE OUR FOCUS!